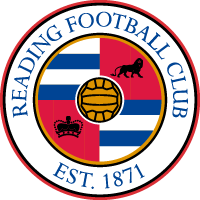 Reading booked their place in the 5th Round of the SSE Women's FA Cup with a convincing 13-0 win over Keynsham Town on a very heavy pitch at Kingfield Stadium. The hosts were wasteful with a few early chances as Molly Bartrip, Brooke Chaplen and Fara Williams had shots off target. At the other end, there was a mild scare as striker Kerry Bartlett was played through but saw her shot saved by the feet of Grace Moloney. 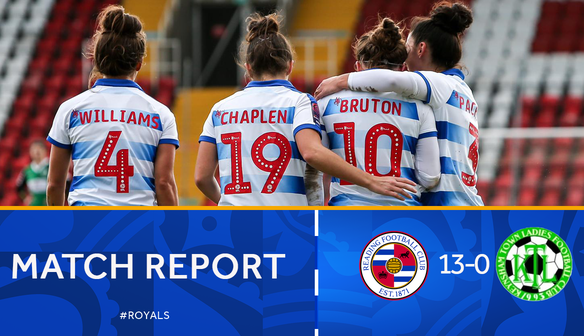 It took until the 21st minute for Reading to break the deadlock but it led to an 8-minute Williams hat-trick to essentially put the tie to bed inside the opening half an hour. The first came from a corner off the training ground as Williams chipped the ball into the chest of Bruton, who was barged in the back by one of the Keynsham defenders, leading to a penalty. It was Williams who stepped up and calmly slotted into the bottom corner. Three minutes later and the same corner tactic came into full effect as Bruton knocked the ball down into the path of Williams who struck into the far corner with a first-time finish. Her third was scored in very similar fashion to the first as Bruton was brought down in the area and Williams converted from the spot for the second time, high into the top corner on this occasion. The Royals made it four before the break and it was scored by Bruton with an exquisite finish. Jo Potter played a lofted pass over the back four which found the forward, who beautifully lofted the ball over goalkeeper Charlotte Haynes and into the far bottom corner with a first-time lob. It started to become a real rout in the second half with 5 goals in less than 12 minutes! Chaplen helped herself to a brace with two goals in as many minutes. The first she finished high into the roof of the net from a tight angle. 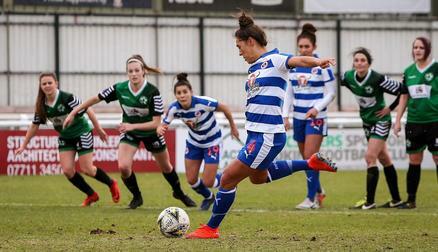 A minute later she collected a pass from Charlie Estcourt before dispatching past Haynes. Williams teed up Bruton who made it seven on the 53rd minute with a neat finish past the stranded Haynes in goal. Two minutes later and Williams had her fourth of the game. It was a hat-trick of penalties for her as she once again scored from the spot, having been fouled herself in the area. Charlie Estcourt thought she had a well-deserved goal just before the hour mark but her shot came off the post before falling right into the path of Williams who couldn't miss from inside the six-yard box, scoring her 5th goal of the afternoon in the process. However, Estcourt did get herself on the scoresheet midway through the second half; Williams thanked her for inadvertently setting her up before by playing it across the face of goal for a simple tap-in for the Welsh international. Reading's 10th of the afternoon. January signing Rakel Honnudottir came off the bench and helped herself to a brace. The Icelandic forward had missed a few chances prior to opening her account for the Royals but she finished high into the roof of the net, having see her initial effort saved by Haynes. Two minutes later and she scored from another rebound. This time scoring after Jade Moore saw her effort saved. With six minutes remaining, Reading had 13! Substitute Gemma Davison was played through by Williams and managed to slot across goal past Haynes. "We knew it was going to be a game where we'd have a lot of the ball, and we did work with that in the week. I think in the first half we weren't doing what we needed to do to get the openings in front of goal. We spoke about that at half-time and we delivered it in the second half." "It's really good for us to get back to winning ways and to get everyone's confidence up with some goals. I think everyone enjoyed that performance today. It's always nice to get on the scoresheet and that's my first of the season so hopefully there's more to come now." "It was a hard game to play in. The pitch, obviously, weren't the best for both teams but we put the performance in and we're getting the results now so it's time to progress into the next round of the FA Cup!"